Keep loved ones close to your heart with this family birthstone necklace! Featuring brilliant birthstones aligned side-by-side, this stunning Sterling Silver necklace is perfect for celebrating family love. 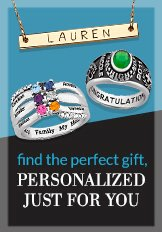 Personalize with 2 to 5 gems for each sibling, child, or best friend to create a lovely and meaningful accessory!